Just when Sony has you convinced that the Vita no longer exists, Aksys reminds you why you loved that portable! 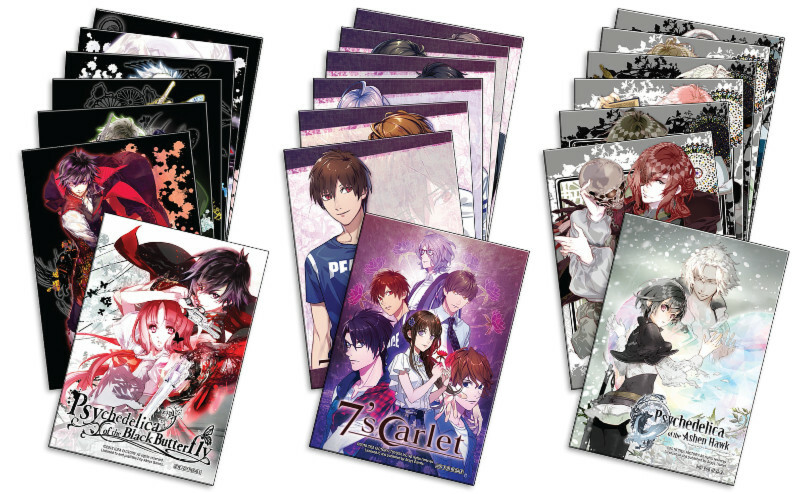 They are keeping things suspenseful with the self styled Summer of Mystery, with 3 interactive adventure games being released – Psychedelica of the Black Butterfly, 7’scarlet and Psychedelica of the Ashen Hawk. They are going to be released back to back, with Black Butterfly launching in April, 7’scarlet in May and Ashen Hawk in June. Better yet, if you preorder these titles, you’ll be rewarded with some sweet extras! 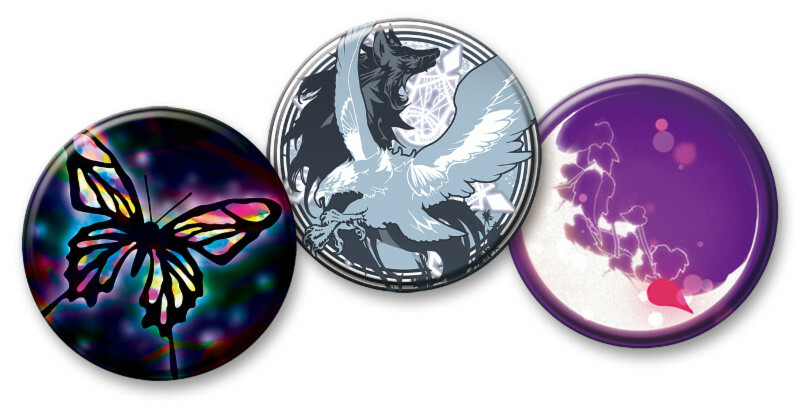 Each game will come with a collectable card set, and if you preorder all three, you’ll get a trio of fancy pins! To find out more details about Aksys’ Summer of Mystery, just read the official press release below, and thank your lucky stars there are still groups out there passionate about bringing cool games to the Vita. Torrance, Calif.—March 21, 2018—Flex your sleuthing skills with three new adventure titles coming this summer from Aksys Games: Psychedelica of the Black Butterfly in April, 7’scarlet in May, and Psychedelica of the Ashen Hawk in June. Featuring creepy towns, mysterious mansions and ancient feuds, each game will include a collectible character card set inside the package, and fans who purchase all three titles can get an exclusive set of collector pins. Psychedelica of the Black Butterfly, 7’scarlet, and Psychedelica of the Ashen Hawk are now available for pre-order for the PlayStation®Vita system. Psychedelica of the Black Butterfly and 7’scarlet have been rated ‘T’ for Teen by the Entertainment Software Ratings Board (ESRB), while Psychedelica of the Ashen Hawk is ‘RP’ (Rating Pending). Visit www.aksysgames.com/summerofmystery/ for more information and follow the Summer of Mystery on @aksysgames to keep up with all the latest news. Founded in 2006 in Torrance, California, Aksys Games Localization, Inc. is a visionary video game publisher committed to publishing unique and high-quality interactive content for all current-generation platforms. Its lineup of games includes the critically acclaimed Zero Escape series (Nine Hours, Nine Persons, Nine Doors, Virtue’s Last Reward, Zero Time Dilemma) as well as the wildly successful BlazBlue and Guilty Gear franchises. More information about Aksys Games and its unique products can be found on the company’s website.